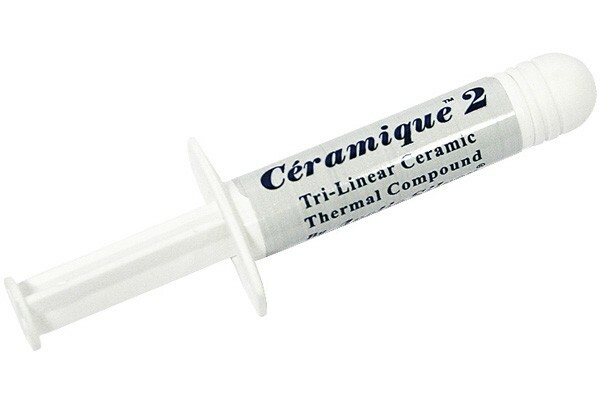 The new thermal compound from Arctic: The Arctic Ceramique 2! Different from other thermal compounds, this one does not contain any silicones. The new formula is based on small ceramic particles mixed with Aluminium oxide, zinc oxide and boric nitride. This makes the compound finer in structure, and with a particle diameter of only 0.36 microns this compound can be applied thinner than its predecessor and any other thermal compound on the market. Please note: 25hrs after application respectively burn-in time the compound reaches its maximum thermal conductivity!